We start in the cave and end in the cave, but this one is way more comfy. 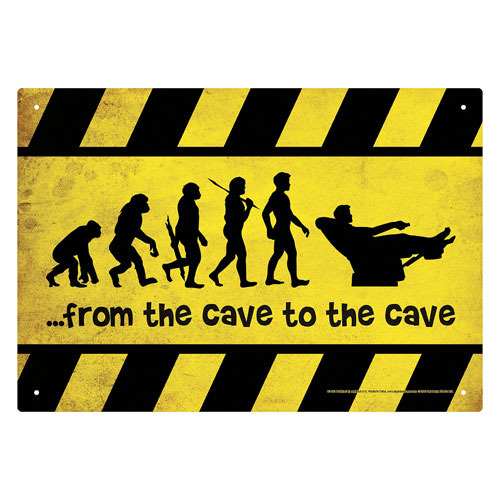 This Cave to Cave Tin Sign measures approximately 8-inches x 11 1/2-inches. Ages 12 and up.